The largest sand island in the world, world heritage site Fraser Island is home to more than 100 freshwater lakes, rainforests growing right out of white sand dunes, colourful sand cliffs, magnificent wildflower displays, shorebirds, and rare animal species. In short it is a fantastic place to explore, and no surprise that thousands of tourists choose to witness for themselves this paradise. Even though the beaches on Fraser Island are too dangerous to swim in, you’ll soon forget all about this when you see the unique freshwater lakes. Lake McKenzie will blow you away with its turquoise waters and white sandy shores. In contrast the deep green waters of Lake Wabby are reached via a dramatic golden sand dune. Or perhaps you just want to chill on the shady banks of Eli Creek as the natural current transports visitors along its clear shallows. With so many natural and wondrous displays, it’s hard to know what to prioritise on your trip. 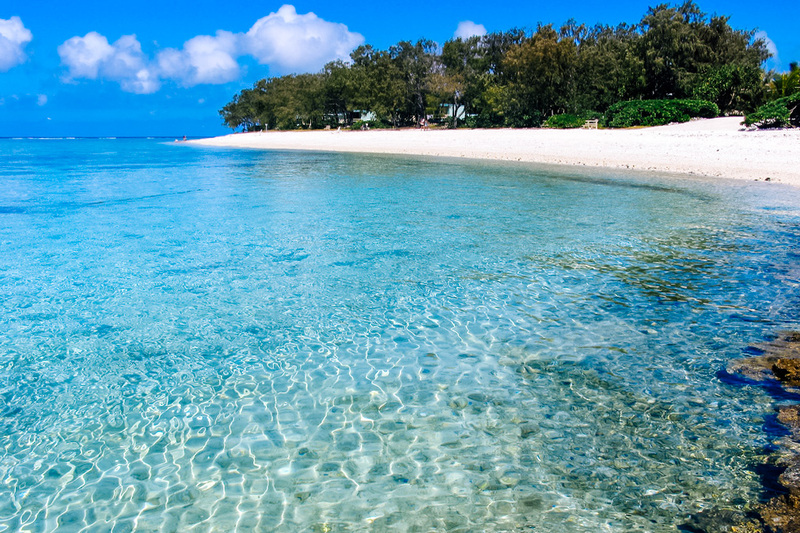 But before you even reach Fraser Island, which is a short ferry ride away, there’s plenty to see in Hervey Bay too. Our 61 villas are located a stone’s throw from the sparkling waters of the bay, just 60 metres away, on the east of the town. All kinds of water sports are on offer here since the sea is calm and stinger-free. Enjoy swimming, sailing, canoeing, water skiing and more, or try your luck with a fishing rod off one of the jetties, which offer fishing spots at all tides. There are also beachside parks, Torquay Reef is great for the kids, and the Esplanade is a wonderful place to enjoy a relaxing stroll. For more ideas on planning your trip to Fraser Island via Hervey Bay, check out Expedia’s recent article entitled ‘Experience the best of Fraser Island’. We were delighted to be included in the article as one of the recommended places to stay. If you’re planning your trip in the upcoming months from mid-July to November, one thing that we recommend is to go on one of Hervey Bay’s famous whale watching adventures. Every year, humpback whales travel to the warm waters of north Queensland to give birth to their calves. On their way back home to Antarctica, between about July and November, they take a rest in the waters of Hervey Bay where you can see them basking and nursing their young. You’ll never forget the astounding sight of these majestic creatures breaching! We look forward to welcoming you to Hervey Bay!